We’re going way back in time for this one. The 1700’s in fact to discuss San Felipe Road’s origins. Rancho Ausaymas y San Felipe was a large property that encompassed all of Evergreen down to Casa De Fruta and was an extension of Mission San Juan Bautista. Originally, the land was granted to Francisco Perez Pacheco and that land got passed down through the family. Have you ever gone over Pacheco Pass? In fact, the Pachecos, as landowners, gained wealth and power quickly, buying adjacent ranchos until it spanned from Santa Clara County to Monterey and Merced counties. 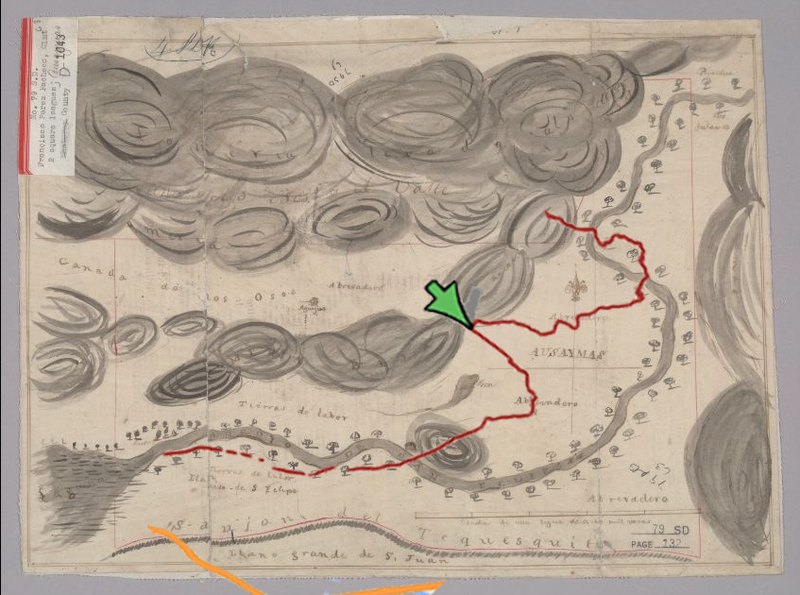 So, when I found this awesome map, provided by the UC Berkeley Bancroft Libraries, I didn’t find it familiar and nothing on the map besides the hills made any sense to me. I didn’t recognize the names of the landmarks. Sanjon? Llanitos? What’s that? If you can find it on the map, that’s actually the area we’re discussing, Evergreen. Tierras de labor were homes of ranch workers, and would later become the pueblo tract. 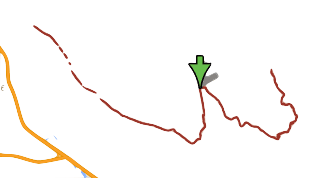 Those hills in the center of the map following the road are the Evergreen hills and behind the Diablo Mountain range. Ausaymas, also known as Animas, is the Morgan Hill area. Sanjon del Tequesquida is the path to the next Rancho over, to another Pacheco family member. So, let’s think on this. 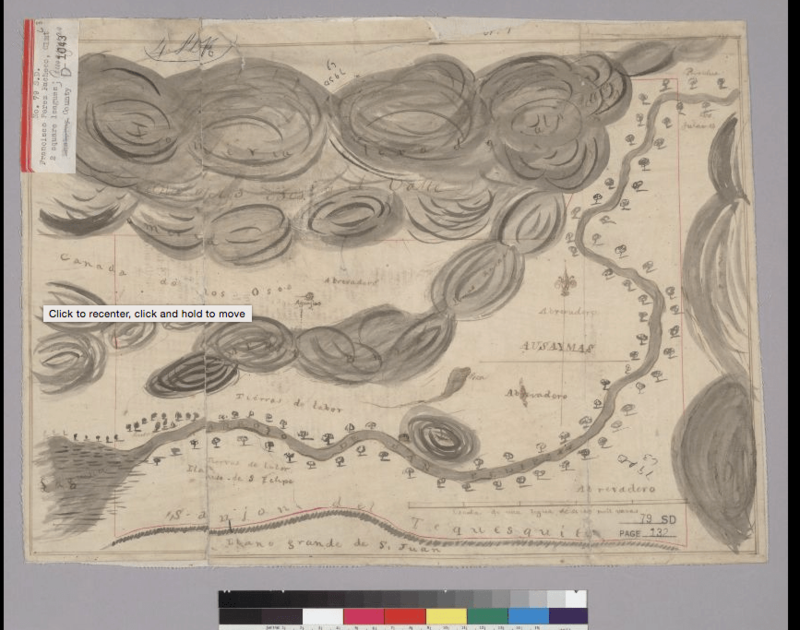 1700’s map making wasn’t perfect. No planes for aerial or overhead shots. Only roads, known geographical features and lengths get noted on a lot of these maps. Directions we not exact. 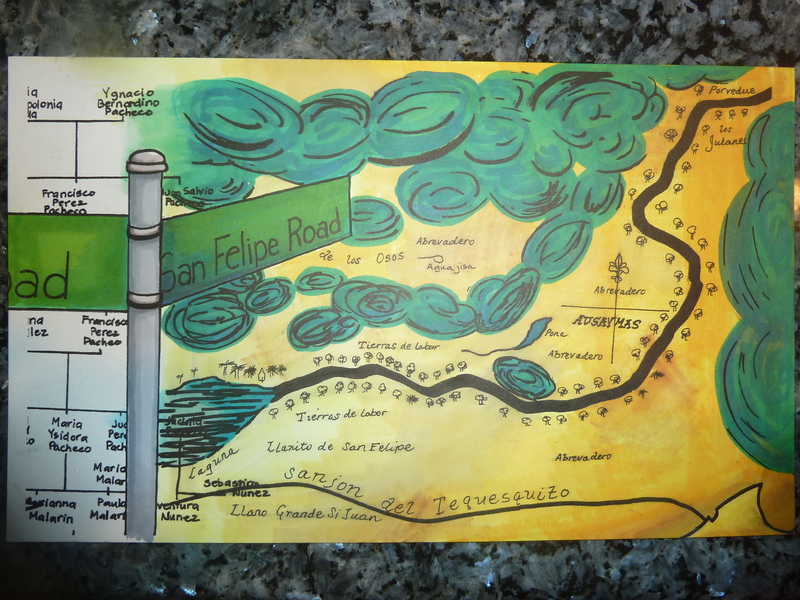 Having said that, I laid out the entire length of San Felipe Road into Gilroy and here’s what I saw. This is modern Google day San Felipe Road and the little yellow line is the 101 and where they make a y, 85 splits off at Bernal Rd. I have removed the topography and background. It’s feeling familiar, but is this the same road? The shape is similar. Let’s test it out. Here was my first pass overlapping the 2 images without changing anything about the Google version. This wasn’t enough to convince me though. Close, but no cigar. It’s close, but there’s something else here. I started all over again considering what I know about the accuracy of the cartography of the time. So, I rotated, blew it up, then skewed it. Much better. At least this makes sense. This is the majority of San Felipe road ending around Morgan Hill. Where there’s an obvious tear in the page it approximately where White Road and San Felipe Road split. Now, there’s been a little rerouting (straightening) and paving over the last 250 years. The difference in the 2 overlaps is the scale and direction. What should’ve pointed North on the map actually points East. Mount Hamilton is featured in the upper left hand corner of our map. The Laguna is Lake Cunningham. The Llanito are little waterways or creeks. Sanjon del Tequesquida is currently the same path as the 101, not yet known as the El Camino Real or Mission Trail. Ausaymas is Animas just above Lake Anderson. Rancho San Felipe passed down to Maria Ysidora Pacheco, but with Mexican Independence, the Spanish family lost their holdings. The Pachecos were first granted the land in exchange for governing the people. The next family from Mexico to own Rancho San Felipe would do the same thing. Rancho San Felipe would soon become the property of lawmen and cattle herder Antonio Chabolla’s. Here’s our send up to the Pachecos and Rancho Ausaymas y San Felipe.